I started teaching TOW in 2009. This was immediately after my encounter with Don & Gwen Dewey during my Master’s Degree class at the West African Theological Seminary in Lagos. The MSF/BGU Grant assisted teaching did commence after my BGU class with Lowell Bakke in South Africa; the South Africa class which was aptly titled “Pastoral Transformation for the 21st Century” was a transforming moment for me as it sort of introduced TOW to me in a more definite manner especially as it concerns the audience I should focus my attention on – Church Leaders and more specifically the ones I now tagged as “Emerging Leaders” who are scattered in churches and across denominations all over Nigeria and Africa. I started invariably from my “Jerusalem” which is my own local church that today has produced a local congregation, which we proudly described as a TOW-Woven Community. The story is now being shared in some journals and dissertations and has also featured in two BGU Overture classes. The task of communicating the TOW narrative to African churches has been a daunting one as many if not most of them are steeped in what we call the SSD syndrome, which unfortunately happens to be in sync with the deeply patriarchal nature of the African culture; it was an uphill task to bring a teaching that recognizes and emphasizes the universal priesthood of the believer. I had to adopt a bit of creativity into this if I have to succeed in taking the TOW Message beyond the walls of my local Church, a mission that I was so convinced about. Convinced enough to devote my doctoral thesis to designing a Transformational Leadership Center committed to teaching Theology of Work across Africa. inspired by Dennis Bakke’s best seller “Joy at Work” seeks to communicate Bakke’s core values of business: Integrity, Fairness, Social Responsibility & Fun. The focus is to see businesses run with Biblical Value, principle and worldview of Stewardship as opposed to ownership and what this looks like wearing ”African attire”. this course was inspired by the experience gathered learning under Dr Glenn Smith during the Jazz Course in Montreal in 2011. The purpose is to equip the huge population of young boys and girls with artistic talents in my context and deploy them to use arts for transformational purposes as opposed to simply entertaining and seeking fame. My project paper on this course title “Crafting a Vision for an Arts Driven Ministry in Jos City” is attached as a resource. inspired by two book readings during my doctoral program: Transforming Society by Melba Maggay and Transforming Power: Biblical Strategies for Making A Difference in Community. The purpose of the class is to encourage the emerging leaders to pursue community development initiatives as a springboard for entry into politics and governance. The strategy is to develop a critical mass of young people who possess a Biblical worldview of politics & governance that is rooted in service and promotion of human good and wellbeing. This course is also being used to address the Christian-Muslim divide, which is a major issue in my context. All CTL courses have strong TOW foundation. The center has developed an intentional curriculum to train leaders in these areas with THEOLOGY OF WORK AS THE FLAGSHIP COURSE. 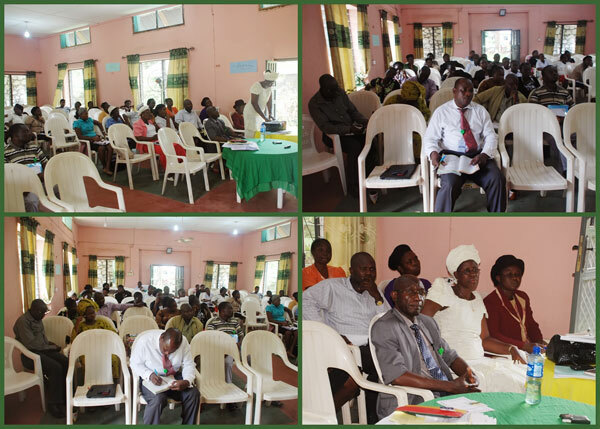 The 1st opportunity for partnership, which was with the Nigerian Baptist Theological Seminary, was a critical one. The seminary established through the Missionary effort of the US based Southern Baptist Convention happens to be the oldest Seminary in the West African sub-region, with global accreditation. 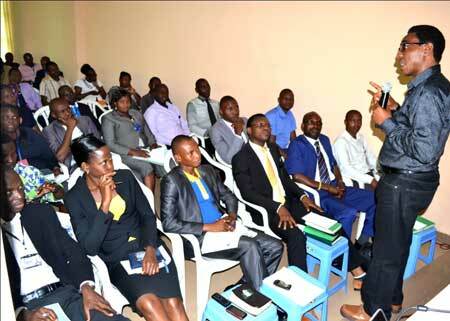 The 1st challenge was how to communicate TOW to a seminary operated by a denomination of over 6 million members that teaches members that to serve God properly, one has to attend the seminary and be trained to become a local church pastor or take up other administrative posts in the denomination. The strategy deployed in the Baptist seminary was to start with what the basic provisions of their article of faith, which has the “UNIVERSAL PRIESTHOOD OF ALL BELIEVERS” as one of their cardinal beliefs. As Lowell Bakke would say, “that the TOW discourse can start from many perspectives” the Baptist perspective was to appraise themselves based on what their written beliefs states, put side by side with their doctrinal teachings and use that as basis to do a SWOT analysis of their denomination and the church in general. There was an overwhelming consensus that there is disconnect between their written belief, their doctrinal teaching and their ultimately ecclesiastical expression. In all, TOW has reached almost 5000 persons under this arrangement. In 2015, the President of the convention included TOW as part of the session for their National Workers Conference, which took me on a tour with him across the 6-Geo Political zones of the country reaching over 10,000 participants. This partnership has since matured and as a result the seminary now has three members of their faculty as full time BGU DTL students with further pledged 8 members spread across the denomination. The plan is to eventually establish a DTL faculty in their seminary and possibly their university with a center for community transformation – all inspired by TOW. NIFES, founded in 1968 is the Nigerian arm of IFES. It is a fellowship of evangelical students spread across close to 300 university campuses in Nigeria and reaching almost 35,000 students across the nation. NIFES also boast of thousands of associates (graduated students now spread across various professions in many cities). My relationship with NIFES started through one of their students who attend our local church and was part of our CTL sessions. Since that encounter three years ago, the relationship has blossomed into a remarkable transformational movement across many campuses and cities. The challenge of communicating TOW was not in any way different from that of the Baptist as most of them are products of the mainline churches in Nigeria where TOW is unknown and the idea and worldview of ministry is primarily pulpit and life outside the main walls of the church building is considered evil. The Gospel they have been exposed to has been the “COME” gospel and the idea of “GO” is to bring those outside into the fold. What started on the campuses soon got to the attention of the National executive and I was invited to speak on “National Transformation” at their yearly NATIONAL DELEGATES CONFERENCE of over 3000 participants from all over the country. I used this opportunity to reveal the potential of their movement to them and what the nation will look like if every member will see where they are positioned as their mission field and what they do as the instrument of mission. The take off point of the TOW discussion has to be creative and one that reveals the defect in the worldview of the fellowship. I had to identify a point where we are in agreement and great commission comes in handy and it has been our starting point as seen in the PowerPoint outlines. For the students, attention was eventually focused on what next in their lives after school. I must say here that I am forever indebted to Dr Paul Stevens for the great resources he has made available to us all. The Session on “DISCERNING YOUR VOCATION” has been a major feature in my session with the students. It has been a transforming experience for many of them who has found fault with the worldview of pulpit and gathered church ministry paradigm but totally lost as regards what the accurate paradigm could be. The benefit of NIFES to the TOW cause is the spread of this fellowship and the newfound hunger for the TOW content. The last three years of relationship which has seen over 5000 members being taught has now matured to a point where 300 of their delegates are being trained to be certified to teach TOW to another 2000 in the next two years. 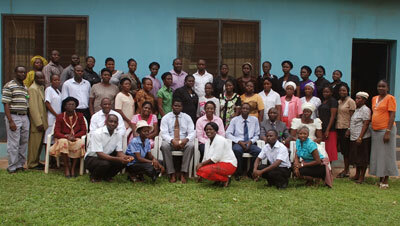 The first session of the TRAINING THE TRAINERS concluded last week with more than 150 trainers in attendance. The focus is to develop a TOW teaching outline with a NIFES garb on it. ANNOUNCEMENT: 2019 grant applications are now open. Please read the additional requirements in the application process page.